The only solution that worked for me was to disable Visual Studio host process for the project. To do this on the Project menu, click Properties, then click the Debug tab and uncheck the Enable the Visual Studio hosting process check box. Hope this post saves a few hours messing around with settings for somebody trying to resolve this issue. I had some painful experiences while trying to set up USB device forwarding to a virtual machine for Oracle VirtualBox so decided to share how I managed to make it work. Make sure that the guest virtual machine is turned off. Download Oracle VM VirtualBox Extension Pack if you don’t have it already installed. Install it by simply double clicking on the file. Restart VirtualBox application just in case. 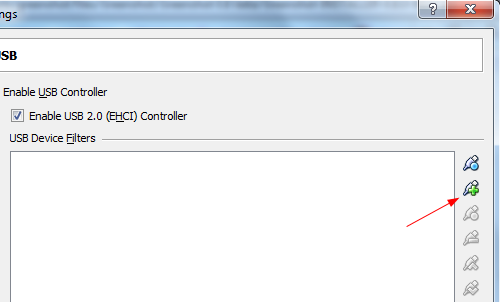 Select the virtual machine, click Settings button, open USB page and select “Enable USB Controller” together with “Enable USB 2.0 (EHCI) Controller”. 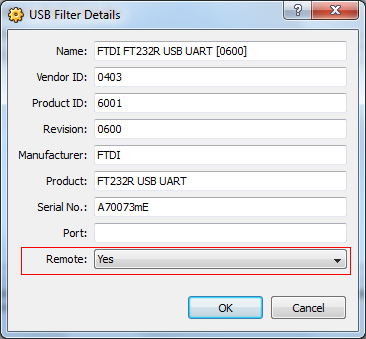 Add USB device by clicking the button highlighted below. Once the device is added, select it and click on the edit button (one button below the add button). Make sure that Remote is set to Yes. Your device should now be available to the guest virtual machine.